This feature article originally appeared in the December 2018 magazine edition of Australian Aviation, and details technology that can detect birds – and drones – in the vicinity of airports. In the wake of the Gatwick drones incident, it makes a fascinating read – Ed. Birds, animals and now drones … unlike the workforce and paying passengers they are among the most unwelcome visitors to an airport with the capacity to cause untold harm. A solid fence can provide a good first line of defence against many interlopers, and while avian radar can detect flocks of birds and drones, its scope is limited. Making a decision on what to do next could be down to an airport official with a set of binoculars. Birds have posed a risk to aircraft since the dawn of flight – an enduring peril demonstrated more recently by the fate of US Airways Flight 1549 in January 2009. Departing New York’s LaGuardia Airport, the Airbus A320 with 150 passengers and five crew aboard, lost both engines shortly after takeoff when it collided with a flock of Canada Geese. In an epic feat of flying, the pilot and first officer successfully ditched the aircraft in the Hudson River with no loss of life. Airports and aircraft operators do many things to mitigate the risk of birdstrike. There’s even the World Birdstrike Association, a global forum for the exchange of information on birds and aircraft. Statistics gathered by the Australian Transport Safety Bureau (ATSB), which requires pilots to report any incident involving wildlife, underscore the extent of the problem in this country. In the period 2006-2015, 16,069 birdstrikes were reported to the ATSB, most involving high capacity transport aircraft. The rate of birdstrike per 10,000 aircraft movements in high capacity operations increased markedly in 2014-15. In that period, bats and flying foxes were the most common intruders, followed by swallows and martins, kites, and lapwings. The ATSB calculated that between 2006 and 2015, 766 kilograms of flying animals were struck each year by aircraft in Australia. Birds are not the only danger. Aircraft also encounter wildlife on the ground, though at a much lower rate with an average of just under 40 incidents each year, most involving hares and rabbits, followed by kangaroos and wallabies. There were six ‘strikes’ involving livestock, two involving large flightless birds and one featuring a wombat. Not unexpectedly, the ATSB noted the bigger the animal, the more extensive the damage, with kangaroos taking the biggest toll. While damage to airframes and engines, with subsequent losses in revenue, has run into millions of dollars over time, ATSB data going back to 1969 shows there have been no civilian fatalities attributed to birdstrike. Tragically, that is not the case with the RAAF. In 1977, an F-111 crashed during a low-level bombing run when a pelican smashed through the windscreen. Both crewmen were killed. Now, more airports are resorting to advanced technology electro-optic and infrared (EO/IR) systems to detect and classify intruders by day or night, increasing safety and levels of collision avoidance. For example, had a bird detection system been in place at LaGuardia in 2009, Flight 1549’s takeoff run could have been delayed for 30 seconds until the birds were clear of the airport, or the aircraft advised to adopt a slightly different flight profile. 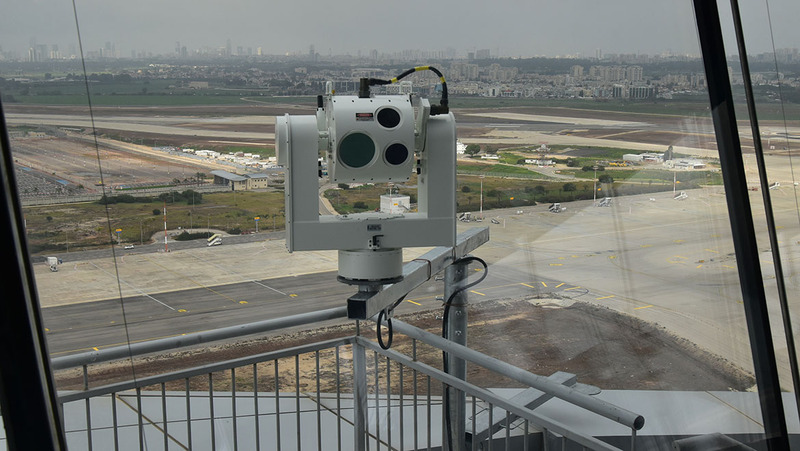 Israeli company CONTROP Precision Technologies is a world leader in EO/IR, producing surveillance systems for air, land and maritime use and for airports. Its electro-optics (EO) fast panoramic scanning systems are increasingly being deployed on airfields and airports to provide perimeter security and wide area surveillance, bird and wildlife detection, drone surveillance, and even detection of foreign object debris (FOD) on runways. Johnny Carni, CONTROP vice-president for marketing for East Asia and the Pacific said the fast scanning systems were developed originally for security purposes. The technology was subsequently adapted to the needs of flight safety and had proved invaluable for bird and wildlife detection at major airports. “As part of the ongoing response to US Airways Flight 1549, the US Federal Aviation Administration (FAA) recently conducted extensive trials of the CONTROP’s EO fast scanning at … LaGuardia airport,” he said. The installation of EO fast scanners at Israel’s Ben Gurion International Airport and Dallas Love Field Airport in Texas have also proved successful in significantly reducing the risk of birdstrike by providing air and ground controllers with much improved situational awareness. Flocks of birds are a particular problem for aircraft arriving and departing Ben Gurion because of Israel’s location on bird migration routes at the eastern end of the Mediterranean. Carni said CONTROP plans to bring its technology to Australia. “CONTROP has recently introduced its EO fast scanning systems to the Australian Defence Force (ADF) and Homeland Security (HLS) market,” he said. “We have established a local partnership with an Australian SME called eCastle based in Canberra. It has a solid reputation for C4ISR (command, control, communications, computer, intelligence, surveillance, and reconnaissance) integration in specialist areas of defence and is ideally placed and motivated to support us entering the Australian market. Carni said eCastle is also working with CONTROP to market its long-range surveillance EO ball systems for aircraft. 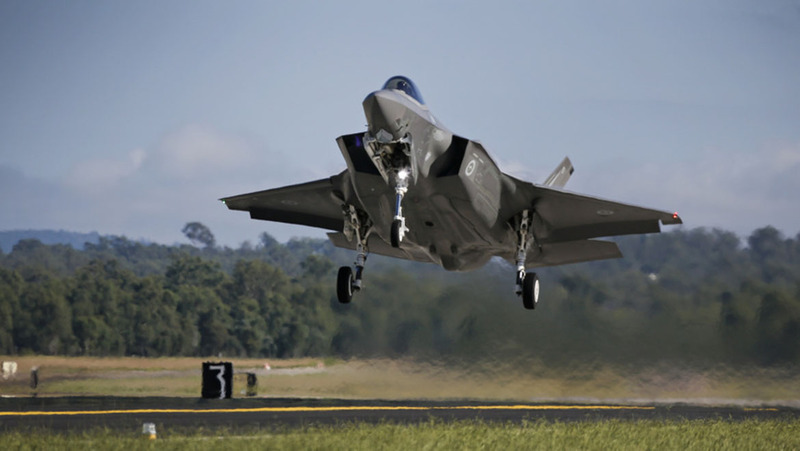 He said it had recently shipped its EO fast scanning system to Australia to demonstrate it to the RAAF with assets such as the E-7A Wedgetail and F-35A Lightning II firmly in mind. “To have any of these expensive assets damaged by birds, wildlife, FOD or drones is increasingly unacceptable,” he said. “EO fast scanning technologies and cameras protect these expensive assets not only from security threats but also detect all types of birds and bats in the sky, wildlife on the ground, FOD and the growing threat of commercial drones. CONTROP was established 30 years ago by four Israeli engineers. In 2012 it was bought out and is now owned jointly by Israeli defence companies Rafael Advanced Defense Systems and Aeronautics Defense Systems which specialised in unmanned aircraft systems (UAS). With its 300 employees, mostly engineers, CONTROP specialises solely in advanced EO/IR systems. “We try to focus on building unique EO systems,” Carni said. Initially the company specialised in EO/IR packages for UAS, producing systems ranging in weight from 300 grams to 40 kilograms. The product range has since diversified into a range of other applications for marine, coastal and land observation, including systems for remote weapon stations and sensitive site security. CONTROP’s stabilised sensors all incorporate a day camera, a large infrared camera and, as an option, a shortwave infrared camera which proves a substantial benefit when viewing objects at long range though daytime dust and haze. The EO fast scanners offer more than a stand-alone capability for bird and wildlife detection. 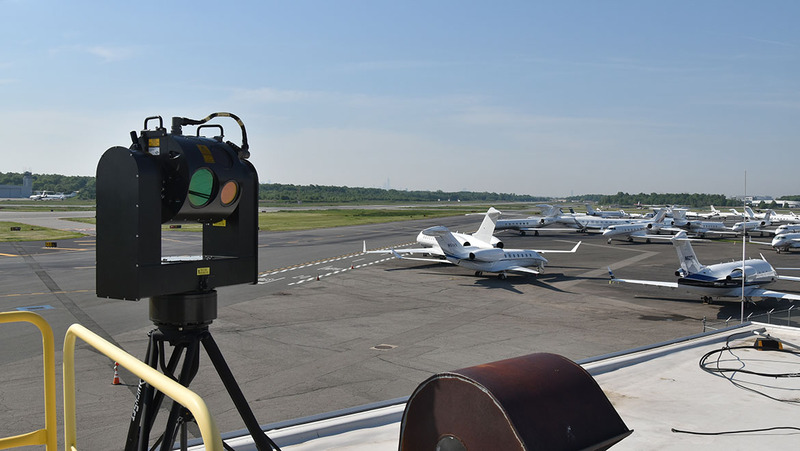 Texas-based company Pharovision is a world leader at integrating the scanners into airport air traffic control systems, providing automatic alerts of bird activity along approach and departure paths. Rather than just a blip on a radar screen, the operator can see images of the offending birds to know precisely what’s out there. It will also detect and classify drones. Depending on requirement, the solution can be the further integrated with a drone countermeasures system such as Rafael’s Drone Dome which uses electronic countermeasures to jam drone controls. Rafael has also fielded a laser to hard-kill drone intruders.